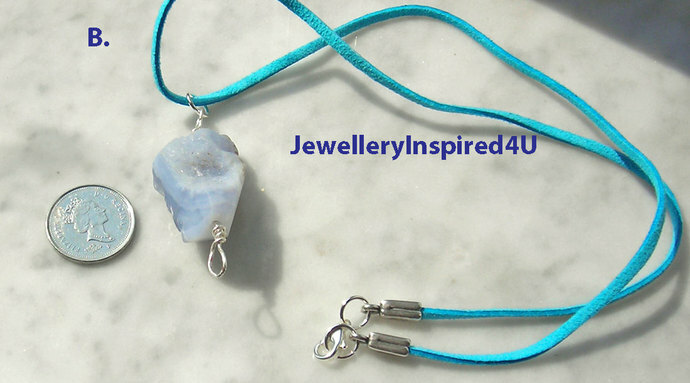 This pendant is smooth on one side and naturally finished on the back revealing the wonderful characteristic banding associate with Lacy Blue Agates The colour is 'blue grey with white banding when the pendant is turned on the side. 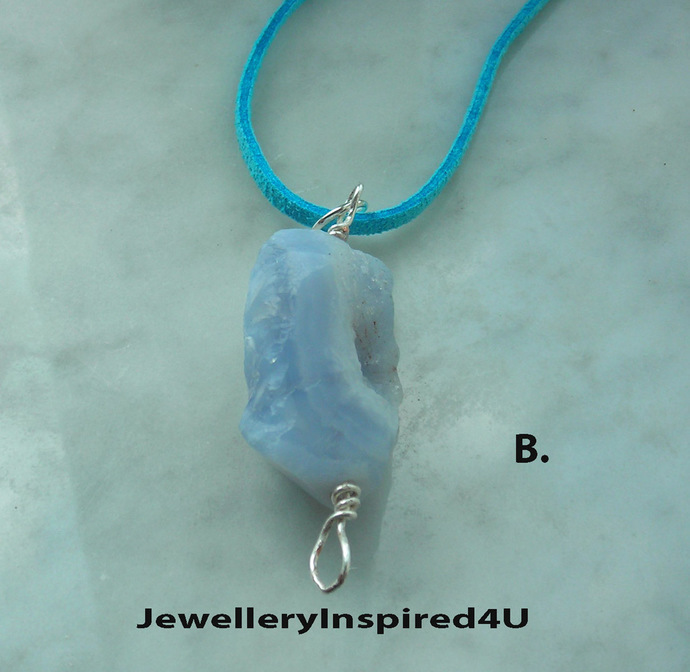 The pendant is 7 cm (2.75 inches) in length. 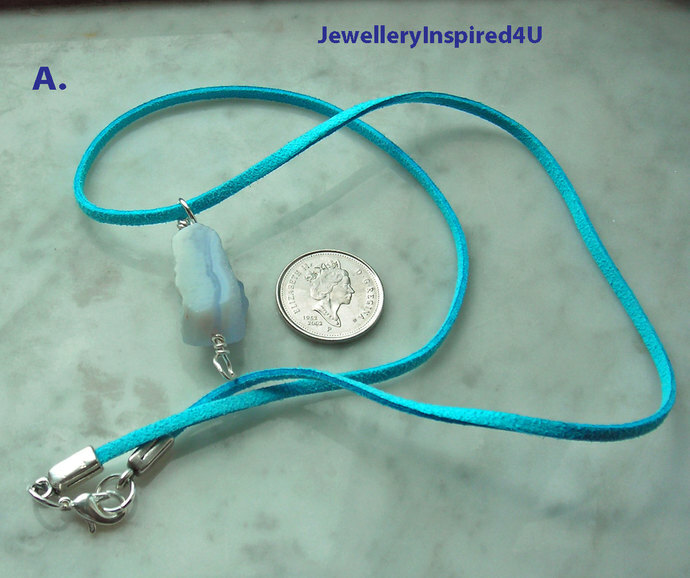 Wire wrapped with sterling silver 20 gauge wire and suspended on suede sky blue cord, finished with 'Silver Silk' end caps known in the industry for their quality and durable wear. The jump rings are sterling silver too. The overall finished length including cord is 25. cm (10 inches) and falls to the natural breastbone. Please see necklace length. This will look lovely with an open Oxford shirt or suitable for t-shirts or turtlenecks in the cooler months. The item is hypo-allergenic and nickle free. Photos 3 and 4 - are other items available A and B. Shipping: All items are carefully packaged and wrapped in bubble wrap in a jewelry box and an outside bubble mailer. It will be mailed by Canada Post by International shipping and may take 6-8 days or longer to clear customs. If you require expedited with has tracking, please choose this option. If you have any questions please do not hesitate to convo me before purchase.